Taking care of your jewelry needs since 1967! Welcome to Ice Fine Jewelry! The Unique Jewelry Store in Central Oregon. 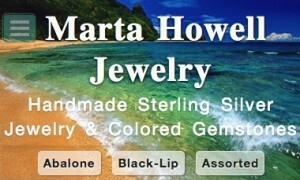 Marty Smith has been taking care of your jewelry needs since 1967. Thanks for checking us out! Join us every First Friday of the month for the Downtown Bend Gallery Walk. Wine, Food, Music & Dancing.